The name for Sydney’s public transport smartcard was announced this week – the Opal – from a list of 665 suggestions. NSW Transport Minister Gladys Berejiklian made the announcement saying the first roll-out of the new smartcard ticket is scheduled for Sydney Ferries late next year. The catchment area for the Opal card will be throughout Sydney, west to the Blue Mountains, north to the Hunter region and south to the Illawarra. "The Opal will become the ticket to ride for 1.5 million commuters and thousands of daytrippers and visitors – making their journeys easy and seamless," Berejiklian says. She says the name Opal had been chosen because it was uniquely Australian, short, and easy to say. "As well as being the national gemstone, the black opal is the State’s gemstone symbol – another reason to name our electronic ticket the Opal," Berejiklian says. 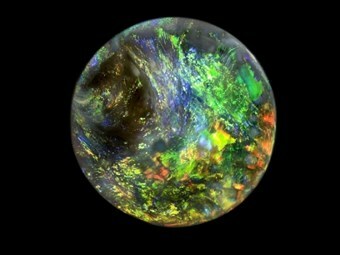 "Opals are beautiful and widely recognised as an Australian symbol." Berejiklian believes the Opal is the perfect name for a ticket which will transform travel for the people who use trains, buses, ferries and light rail. "This ticket will make using our public transport system quicker and easier and will be a real drawcard in our efforts to encourage more people to leave their cars at home." The suggestion for the name ‘Opal’ came from a list of 665 submitted names, some with a serious tone that could be considered potentials, such as i-roam or SydneyCard. There were several ‘Aussie’ themed suggestions on the list including Skippy, Swag, Bonzer, Dinkum and Mate. And there were names that one wonders whether there was poorly disguised criticism of the NSW Government’s attempts at implementing a smartcard system in Sydney – such as Hope, Porkie Pie, Fuzzy and Can-Ya. Some submissions appeared to reflect an element of paranoia about what ‘big brother’ might do with the card, offering the names Sneaky-Card and Spy Card. And there was one person who wanted to keep it simple and call Sydney’s ultimate multi-million dollar public transport smartcard ‘Ned’, possibly based on a character from the Simpsons cartoon series. Given that the Ned Card wasn’t going to fly, Sydneysiders get the Opal Card, resonant of other smartcard systems already in operation in London with Oyster, and Hong Kong with Octopus. Other weird and fanciful suggestions for Sydney’s smartcard included Arrow, Bingo, Cactus, DingoForce, Edna, Fantastic, Galivant, Hitch, Impress, Joker, Kan-guru, Luna, Monkey, Ocean, Plankton, Quack, Roam, Smoko, Tiger, Urban, Vroom, Waratah, Xtra, Yes and Zap.